Cartersville, Ga., Lodge No. 1969 partnered with DCFS to reach out to children in need at Christmas. The Lodge used its Community Investments Program Promise Grant to throw a party complete with a holiday meal, decorations, gifts and winter clothing for each child. 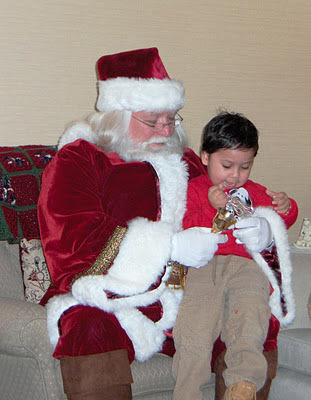 Of course, the highlight of the party was a visit with Santa!